A beautiful Classic Sudoku by Bastien on Wednesday. 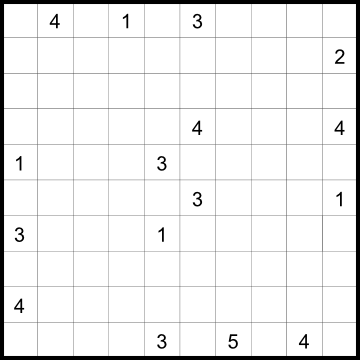 A Trio Sudoku for the easy sprint enthusiasts by Rishi today (Thursday). I’ve been working on many sets recently. One of these is the Polish Championship set. There is one offline qualifier round and one Online qualifier that have been released so far. The final Championships is yet to happen, in March I think. When I was approached for this, I started mainly for the final set, and discarded the easier ones for the offline qualifier. However, the decision to hold the online qualifier was a bit impromptu. They had a shortage of puzzles to hold this. 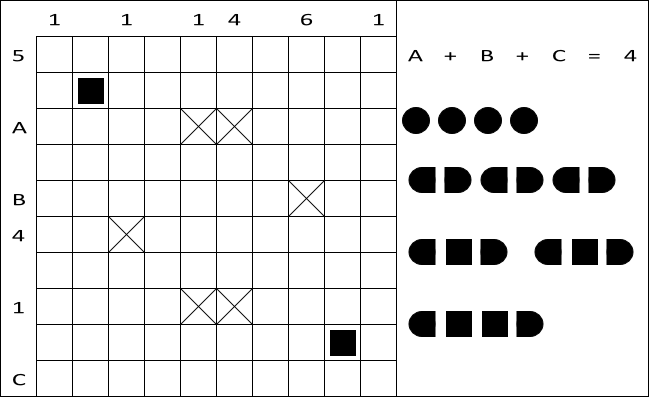 Around the same time, one of my friends here in India approached me to make a set of some quick easy puzzles for a competition in his college. Also, they had apparently forgotten to use my big LITS in the offline round. So the big LITS and 3 out of these 5 were used in the Polish online qualifier as well, as the dates were just after the college offline competition. 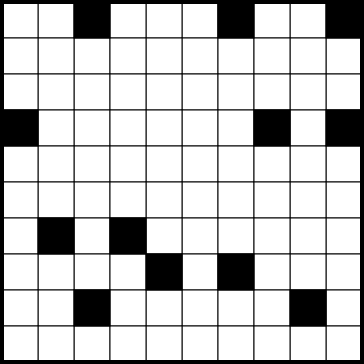 I won’t be posting the big LITS here as I worked on a theme for all the puzzles meant for the original set, whether they got on it or not, and I’d like to post them together after the final round is over. However, if you’re the impatient kind (like me), here and here are the two qualifiers with the remainder of my puzzles (and some others by other authors). But anyway, if you can wait for the main themed set in full, here are the easy puzzles that were used in 2 separate events. I did rush a bit through these though. P285 – Rules for Nurikabe. 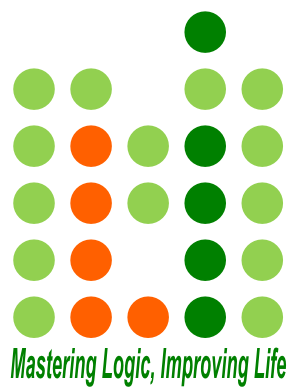 P286 – Rules for Simple Loop – Draw a single closed loop passing through every cell in the grid, except the given black cells. P287 – Rules for Star Battle. P288 – Rules for Double Back. P289 – Rules for Masyu. This is a combination I wanted to try for something else. I know there’s already a loop variant of Star battle called Comet, but I thought of this before I knew about that, and I like the way they combine, so I went with it anyway. But since it was a first timer, I made a trial puzzle, which is what you see below. Rules – Place exactly one star in every row, column and region. Stars cannot touch each other even diagonally. Stars cannot be placed in cells marked with X. Draw a closed loop passing through every cell except the cells marked with X and cells with stars, that visits every region exactly twice. 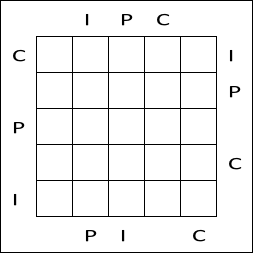 These are puzzles that can be used for practice for the Indian Puzzle Championship and you can refer to the Instruction booklet provided on that link for better understanding of the rules with examples.. These are mostly around the difficulty I’ve generally seen at IPC, i.e. 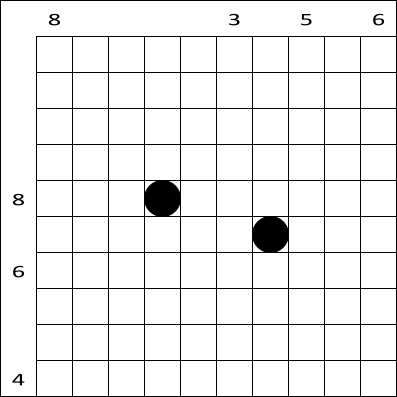 , around easy for experienced solvers, somewhere from medium to more for the first time solvers. Anyway, obviously the heading suggests what I’m gonna open with. Enter the letters I, P and C, so that each letter appears exactly once in every row and column. Some cells will remain empty in each row and column. 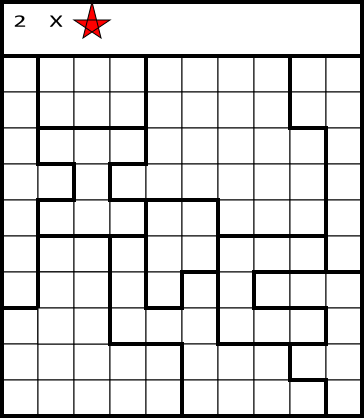 The letters outside the grid show the first seen letter from that direction. Paint some empty cells to create a continuous wall. Numbers in a cell indicate the length of painted blocks on its neighboring cells. 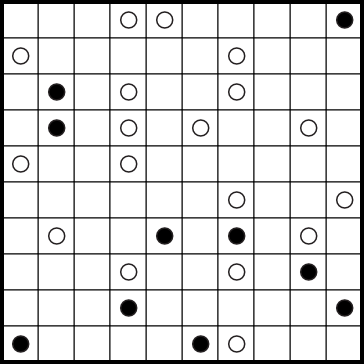 If a cell has more than one number, there must be at least one white cell between the blocks. No 2×2 squares can contain only painted cells. The borders between some cells may be thick or non existent. A thick border separating two cells means one is painted and one is not. Lack of a border means the 2 cells are either both painted or both white. 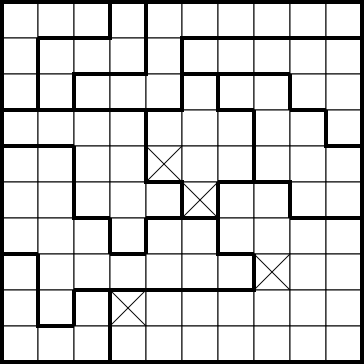 Locate the indicated fleet in the grid. Each segment of a ship occupies a single cell. Ships can be rotated but cannot be reflected. Ships do not touch each other, even diagonally. 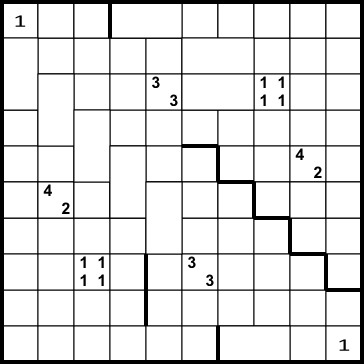 Some ship segments, or sea cells without ship segments, are given in the grid. The numbers outside the grid reveal the total number of ship segments in that row or column. Note : The letters A, B, C may be equal or unequal, the only constraint I’ve added is that their sum equals 4. This is just to introduce first timers to the summing up logic that can be used sometimes in this type. 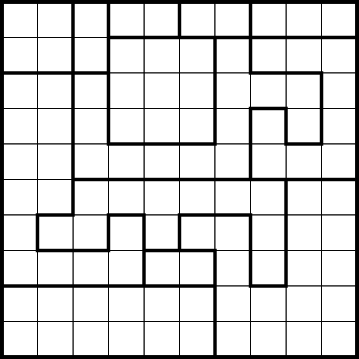 Locate a snake in the grid, whose head and tail are given. The snake does not touch itself even at a point. 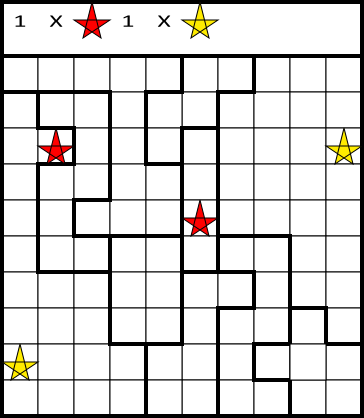 Numbers outside the grid indicate lengths of snake segments in the corresponding direction. Place the given number of stars in each row, each column and each region. Stars cannot touch each other, not even diagonally. 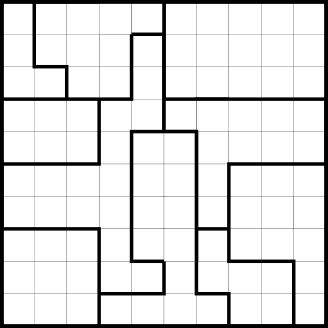 I’m new to this type myself even as a solver, so the puzzle may leave a lot to be desired. Sorry about that. Although it should be an easy warm up for first timers, I do think the difficulty of the IPC one will be higher given the high points. Anyway, Place the given number of stars in each row, each column and each region. Similarly colored stars cannot touch each other, not even diagonally. Some stars may be given.